Valentine’s Day is nearly upon us and it’s time to take a good look at how love shows up in the eyes. Could it be possible to find our soulmate by comparing our iris patterns? Jim Verghis, author of Behavioral Iridology would certainly say yes to that! While matchmaking through the eyes is far from a fine-science just yet, there are a surprising number of indicators in the eyes that will tell us if an individual is a good match for us or not. Welcome to February’s look at the “Eyes of Love” and some of the many indications our eyes will give us of the eye pattern we were born to love. While eye-color does tell a few things about an individual – it really doesn’t play a strong role in eye-matching. What does make a difference is the pattern, textures, and indicators, which reveal an incredible amount of information about our energy style, repeat patterns, and how we interact with others, especially our lover. We live in a compassionate universe. While many will argue (and quite effectively) that opposites attract, the universe we live in actually allows for wholeness to attract. 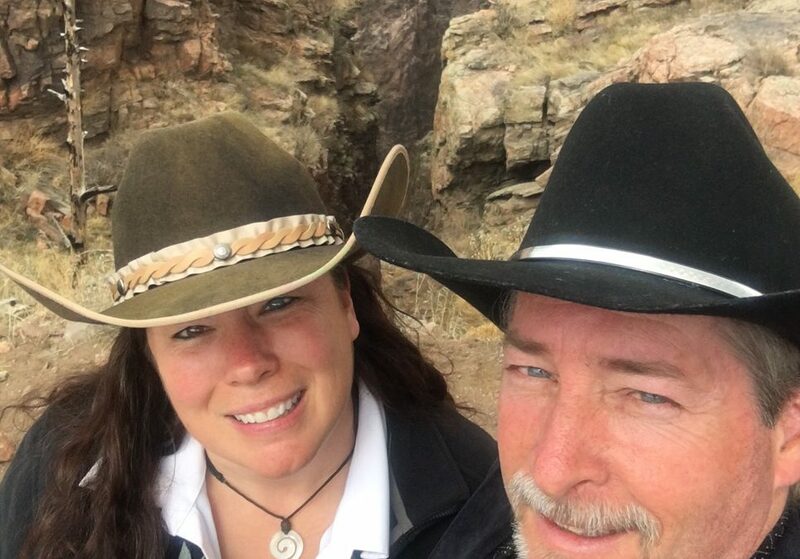 The battery is not whole or functional until it has both positive and negative poles and while that doesn’t mean that blue eyes need brown eyes to be complete… it does give us some pretty good clues about who we are looking for. If you find the above eye to be attractive, you probably won’t be nearly as attracted to eye below as I’ve chosen a few very different patterns, which means very different personality and energy dynamics. You can find a number of eye patterns on the irigenics Instagram page. When it comes to relationships, you are looking for all the things that you are not. 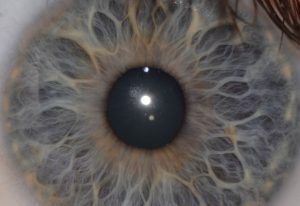 If you are a creative, emotional type, (more rounded openings like the blue eye above) then you’re looking for someone more analytical (tighter fibers like this brown eye or with brown freckles). They can still be creative but with a more analytical perspective. 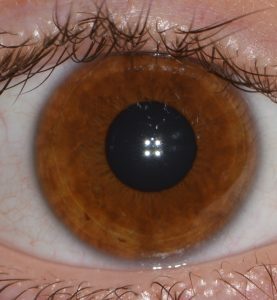 If you have a solid texture, like this brown eye, you are looking for a more open an airy texture to lighten up your life like the eye above – though it can be in any color. The biggest part of the eye-matching factor, that people often forget, is energy dynamics. If you are someone who is very sensitive to other’s energies – such as the eye above with the halo of yellowish spots at the edge (the compassionate ring), you will do best with someone with more of the freckles in their eyes because they are a bit more analytical. While you complete them by bringing in more emotion, color, vibrancy and light, they bring you more ability to stay in your own space, calm down, and think things through a bit before jumping into a new emotional roller coaster.